The incomparable Chris Squire. 1948 – 2015. We will miss you terribly, Chris. Rest In Peace. Truly a sad day. YES and Chris Squire have brought me hours upon hours of enjoyment. One fantastic bass player. Maybe the best. The best. Thanks for the comment, Chris. It was a very sad day for sure.. When I look back on my time that I have had listing to Yes and seeing them at least 12 times I feel a great void in my life. I’m thank full for the time I have had to see Chris perform and its just like losing a part of me that is how Yes music has touched each of our lives in our on way. I pray for his family that they can find peace in there time of grief ..
We have a lost a great musician a true master of the bass and a voice that will ring in our hearts and mine for years…. God bless and peace to all who have loved this gentle giant of a man! Thanks for the comment, Paul. Of course we knew these days would come but this is far too soon to lose our hero. Incredibly shocked, Fish left us to young, too fast. I feel like a part of me has died. Thanks, Scott. There is a gaping hole in music. Am still in shock and starting to worry about the future of Yes now that the Keeper of the Flame has passed. I woke this morning to Geoff Downes post about Chris’s passing. t’s difficult to express to others the importance of the music of Yes in my life. Since 1971 they have been a running constant. Their music and the album of a particular period are not just the background music of my life, but I mark time and events with them. Over the years, as the Yes sound morphed and changed it was exciting, fresh and new at every turn. , And they have always been there. But through all the years, and changes, the one constant. 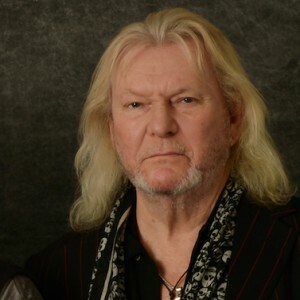 The only member who was there for every single second of it………every note on every album….every concert every performed under the Yes banner is the beloved Co founder of the band, Chris Squire. He forged a sound for the band with his bass playing and singing, as well as his composing contributions which is unmistakable. Even when Yes experimented with changing the very genre of it’s music on a couple of occasions, it always remained instantly recognizable as Yes music. With songs as varied as Heart of the Sunrise to Owner of a Lonely Heart, he comes through loud and clear with the perfection of his playing, and the love of his craft which shows in every measure. I have felt deep loss in music over the years. Freddie Mercury, John Lennon, George Harrison, Dan Fogelberg. These musicians felt like family to me. Since George Harrison passing, this one seems to be getting to me the most. Chris will be missed in ways that haven’t even occurred to me yet. His influence on the music I listen to is incalculable. Many a bass player, and even whole bands owe a large debt of gratitude to our beloved “Fish”. May our Lord welcome him with open arms, and bring peace and consolation to his family, friends, and the Yes fan community. Very well said. Still find it hard to believe he is gone. It seems like it was only just announced that he had cancer and then a month later he was gone. Makes me think he was sick for much longer and just kept it quiet. In any case his music will live on through all of us Yes fans. Rest in Peace Chris. Quite a shock. You always see your music heroes as larger than life, super human and eternal. I will be forever grateful for the music he gave us that lives on. I got to see Yes live last November I would never have thought he would be gone 7 months later. Almost 2 weeks later and Chris Squire’s passing still seems impossible. I was on the air at the college radio station when news came of Keith Moon’s death which I announced. We’ve lost many musicians since then, but none has affected me like Chris’. He was always the most dynamic member of Yes on stage both musically and personally. Farewell, Fish. Requiescat in pace.